Picking a career path doesn’t usually involve reviewing workplace injury and fatality statistics; however, many Colorado workers have legitimate reason to worry about a workplace injury or illness. Knowing about dangerous jobs in Colorado can lead to a more informed job selection process. 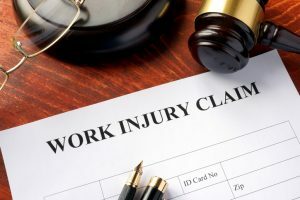 Plus, knowing how to manage a workplace accident can help victims recover the compensation they deserve, as outlined by the Colorado’s Workers’ Compensation Act. The following information about dangerous jobs in Colorado may not help you find your dream job, but understanding the state’s workplace injury landscape may help you better navigate Workers’ Compensation laws should you need to pursue an injury claim. The Bureau of Labor Statistics (BLS) tracks annual reporting for workplace injuries, illnesses, and fatalities for every state in the U.S. The BLS aggregates this information and reports on jobs that are statistically more likely to lead to harm. Unfortunately, statistics only tell part of Colorado’s story. The actual number, or count, of lost-time claims and real deaths tells another. As construction activity in Colorado increases, so have deaths among construction workers. Agriculture, forestry, fishing, mining, quarrying, oil and gas extraction, transportation, utilities, manufacturing, and construction have the highest accident rates.The jobs in these industries often demand intense physical labor and the use of hazardous machinery,putting workers at a higher risk. However, this doesn’t accurately depict the workplace injury/fatality landscape in Colorado. In fact, dangerous jobs in Colorado may surprise you. Approximately 112 work-related fatalities occur in Colorado annually. In 2015, 75 Colorado workers died in industries concentrated in transportation, construction, government, and agriculture. Work-related injury counts are concentrated in different industries, with public administration topping the list, followed by retail trade, healthcare/social assistance, transportation, and warehousing. In other words, jobs with high counts of injury are not always the most physically demanding or hazardous jobs. The industrial makeup of Colorado has changed significantly in recent years. Today, jobs in aerospace, technology, hospitality/tourism, health, and education are increasing as industries like mining, agriculture, forestry, and oil and gas extraction are decreasing. Despite these shifts, increased demand for infrastructure has prompted growth in construction, and deaths among construction workers in Colorado have increased sharply in recent years. According to the Denver Post, the construction industry is predicted to increase by 5.7 percent in 2017. Leisure and hospitality are slated to increase by 3.7 percent; and education and health services are set to increase 3.3 percent. Sprains and strains account for nearly half of all lost-time claims. Colorado is also home to a large number of nonmilitary federal employees—nearly 50,000 of them—and about 47,000 active duty and reserve service members. When comparing actual injury counts by industry, the types of injures reported match what you might think. For example, strains and sprains (13,359) account for nearly 50 percent of all lost-time claims filed in 2013, according to the Colorado Department of Labor and Employment. Occupational disease or cumulative injuries include carpel tunnel syndrome, mental stress, and non-specific respiratory issues. Despite thousands of injuries and dozens of tragic deaths, employment rates are steady and economic growth in Colorado is predicted to increase. According to the Colorado Department of Labor and Employment, the number of lost-time claims has decreased in recent years, even though employment rates are historically high. Lost-time claims are made by employees who have suffered an injury and missed more than three consecutive days of work. These common claims cover a wide range of injuries and illnesses and offer relief through Workers’ Compensation benefits. Dependent family members of those who lost loved ones to on-the-job fatalities may be eligible for death benefits. A Workers’ Compensation attorney helps you recover the benefits you’re entitled to. In both cases, you must follow strict timelines to access available compensation. If you were hurt in a workplace accident or a family member died, discuss with a knowledgeable Workers’ Compensation attorney. Perhaps you’re having trouble getting workers compensation benefits? We help with this issue and more. If you have questions about Colorado Workers’ Compensation laws and benefits, call the Frickey Law Firm at 303-558-6179 or contact us online to arrange your free consultation.